Transgressive | Songhoy Blues Announce the release of new EP, and Camden Roundhouse show! 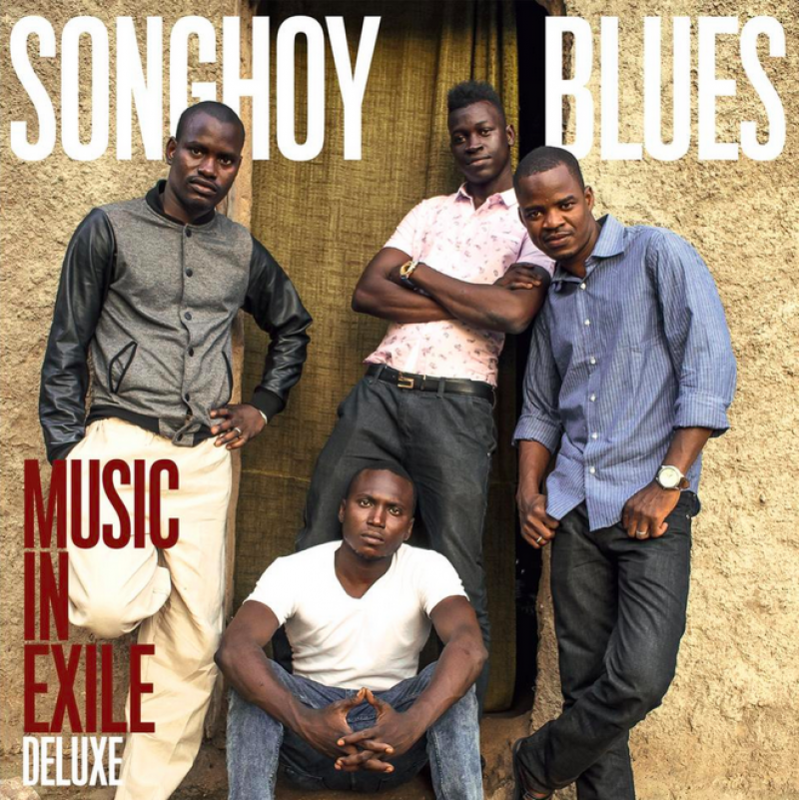 Having already had a hugely successful 2015, including a recent nomination in the ‘Best New Band’ category at this year’s Q Awards, Songhoy Blues go into the end of the year by announcing their biggest UK headline show to date and a deluxe version of their much-acclaimed debut album, 'Music In Exile'. We're also thrilled to announce a deluxe version of their incredible debut, which will be released Friday November 6th 2015. The deluxe edition, released on CD and download, features 3 new tracks: staggering re-interpretations of tracks by some of the group’s key influences. A re-versioning of the Clash’s 'Should I Stay Or Should I Go' features new lyrics addressing the difficult decision confronting refugees around the world - a literal “Should I Stay?” and suffer persecution at home or “Should I Go?” and face potential social injustice and prejudice - an extremely powerful addition to what is already a vital release. An extraordinary re-working of Led Zeppelin’s Kashmir, fully endorsed by Jimmy Page after initially gracing the cover of Mojo Magazine, and a stunning version of Manu Dibango’s classic Soul Makossa, which might be the band’s greatest musical performance to date, also feature on the deluxe edition. The 3 extra tracks featured on the deluxe album will also be available on the same day as a stand-alone 12” titled Re-Covered. Pre-order 'Re-covered': iTunes / 12"